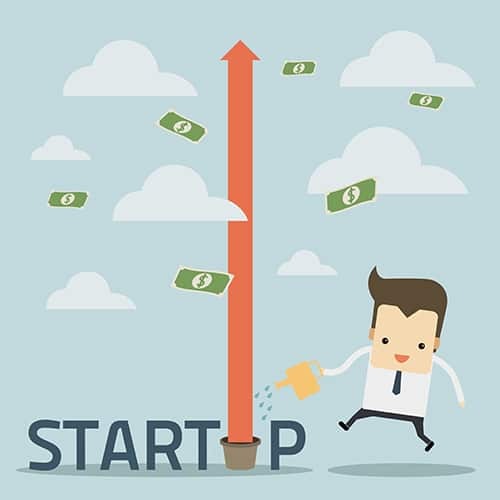 Publicize Your Startup at low Cost! It’s amazing how many really good services will give startups and other new businesses a generous dollop of free publicity and tools to get things done. You can get free business cards, free email blast services, free listings on the Web and, of course, most social media is free. Popular sites like LinkedIn and Twitter are eager to offer free ads for up to a month, as well. Even some Web software and hosting is free. In today’s world, there really is no excuse not to get a website up. It’s the link for you to use when you get on social media and list yourself on various search engine local listings. While you can certainly go with a free service, it may not be the best idea if you don’t have experience designing a site that is user-friendly, attractive and optimized for search engines. And with a huge portion of Web surfers browsing on mobile devices, you had better be able to design a responsive website that works on a number of different platforms. While cost is certainly a consideration, factor in the dozens of hours you will spend figuring out how to design and optimize your site. It may not be worth it in the end. You can write the content yourself but take a little time to research things like keyword strings that will attract attention from search engines. Go to the library and read “SEO for Dummies” and go online to read blogs from sites like SearchEngineLand.com and SearchEngineJournal.com, which both offer free newsletters. Note: While Google is still the search engine leader, Yahoo isn’t far behind it. According to ListofSearchEngines.org, Yahoo is a mere 9 million US visitors behind Google each month. The top five round out with Bing, Ask, and DuckDuckGo. Everyone should become familiar with MailChimp, an email blast service that offers a full month of free services. It provides step-by-step guidance to create press releases, newsletters, and other information you send by email. It tracks your campaigns and provides data on how many people opened your email, clicked on the link, forwarded it, and so on. No matter how big or small you are, register on Crunchbase, a free database that lists corporate and personal profiles.This profile of a security firm lists a corporate overview, current and past management teams, recent acquisitions, funding sources, and more. Also register on LinkedIn, today’s version of the Yellow Pages, where basic membership is free and offers tons of resources. LinkedIn pages are “all about making [business] connections,” says SearchEngineJournal.com, which notes the site is also loved by Google — always a good thing! Are you a consumer-facing (B2B) business? Get a Facebook business page, advises MailChimp, which notes the site provides visibility, search support, and gets business pages listed on search engines. Inbound marketing leader Hubspot says 70 percent of B2Bs it surveyed said they had customers who found them through Facebook. This entry was posted in Digital Marketing on August 8, 2014 by The Core Team.